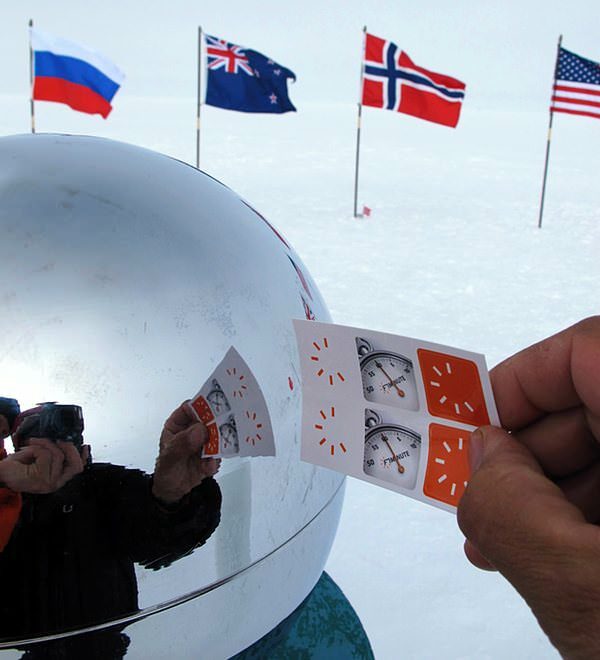 If you were listening to F1 Debrief back in October you may recall hearing from the rather fantastic Lars, who offered to take a set of F1Minute stickers on a trip to the South Pole, thereby ensuring that the tiny sticker sets would in fact have travelled to all seven of the world's continents. The very idea that such a thing could happen had left me speechless, so just imagine what happened when we received this photograph in our inbox. Yeah, you need a moment to take that in too, right? What a guy, what a hero, what an achievement! 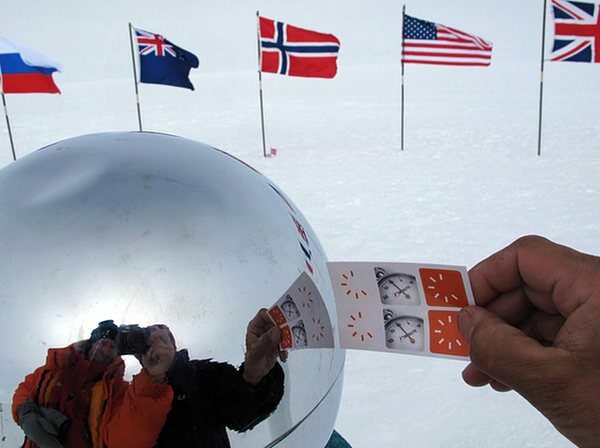 Lars travelled with polar explorer Børge Ousland and a team of many more, hauling the stickers in a sledge, arriving 14 December, exactly 100 years after Roald Amundsen became the first person to get there. I cannot even begin to imagine what it might take to mount an expedition across the Antarctic. 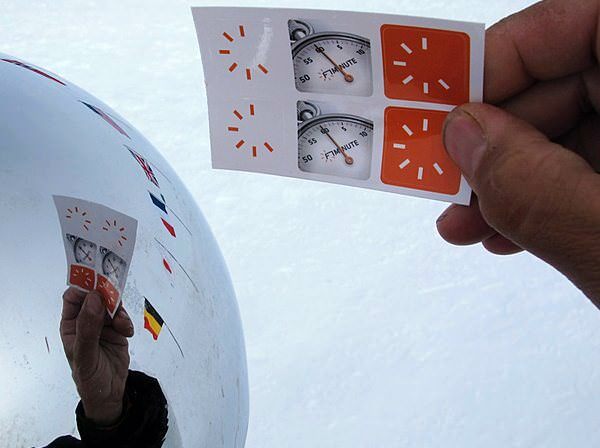 I also cannot imagine what it takes to request, pack and then photograph something so comparatively insignificant as a set of peel-off stickers, promoting a 60 second F1 news show, on such a momentous occasion. Even the gloves had to come off to take the picture. Guess this covers your last Continent. Looking forward to a 2012 very much on the opposite side of the scales of temperatures and speed from the realities of the attached photo. I'll drink to that. We really do love Lars and Børge, they have absolutely made our year. Be sure to read more about their crazy adventure on their blog and enjoy these photographs from the southernmost point on the surface of the Earth. Oh yes!